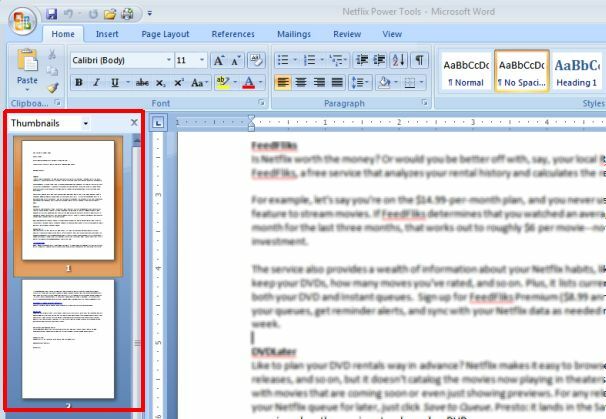 As it happens, Word offers the very same option--and it's fantastic for navigating long documents. In Word 2007 and 2010, click the View tab, then check the Thumbnails box. In Word 2003, click the View menu, then Thumbnails. Presto! Now you have a scrolling list of thumbnails, just like in PowerPoint. Click one to immediately jump to that page. How crazy-handy is that!